Polo shirts, whether embroidered or not, are more than a gentleman’s ideal summer casual outfit, thanks to how versatile they are. You probably know them, not because they are a perfect sporting attire or leisurewear, but because you have a couple of them, specifically customized to promote your business. But apart from making sure every employee adorns them in their lines of duty, don’t you think custom polo shirts with logo can promote your business differently? Yes, they can be a serious mode of free advertising and help promote your business. 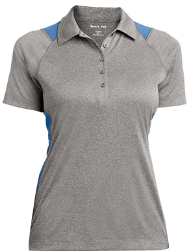 Though polo shirts are traditionally recognized as a gentleman’s outfit, it is easy to spot a lady looking great on it. 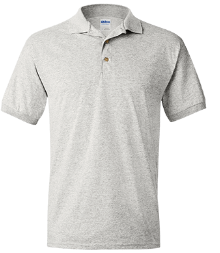 Customized polo shirts are universal, which simply means they can terrifically help promote your business. One excellent way to ensure you use them to boost your brand image is using them as social media giveaways. If you would like to expand your influence on Facebook, Twitter or Instagram and you are operating on a lean budget, just use a jersey logo embroidered with your company’s logo. Of course, you should create a competition – one that urges them to Like, Comment or Share your posts and the prize being a cool customized polo shirt. Custom-made polo shirts have a huge traction amongst casual outfit lovers for a couple of reasons. 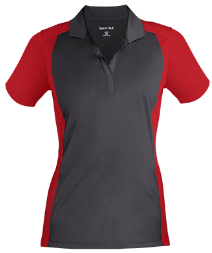 As much as they are universal, dri fit polo shirts, for example, are incredibly comfortable and fit all body shapes. What’s even more amazing is that they can be converted to a more formal outfit. An excellent way to ensure your company reaches a massive list of clients and gets the right customer feedback is by using them as incentives when conducting a market survey. Just let them complete a particular survey in exchange for a polo shirt featuring your company’s logo. This way, you will understand what customers hate about your brand and perhaps what you ought to do and rectify it. 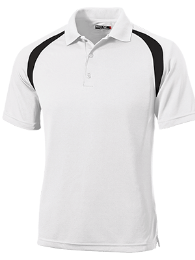 Custom polo shirts, whether they are one of those worn by golfers, the Gildan polo short or ladies’ performance polo, are exceptionally flexible. In the warm summer weather, anyone would readily accept a polo shirt as a gift because this short-sleeved garment is easy to stay cool. If you are to promote your business using these outfits, be sure to use it as a bonus gift for a newly launched product. It is an excellent way of getting the product known, besides the fact that we all love freebies! That’s right; they are your brand’s immediate ambassadors and they too deserve to be acknowledged. And so, when you are appreciating them and how much their efforts have helped your business prosper, offer custom T-shirts or polos. 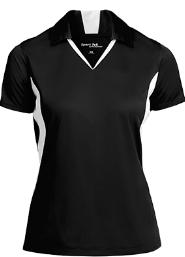 High-quality cotton or polyester jerseys and polo shirts can tremendously boost your business’ image. And they are sure to broadcast the image, long after the campaign is over. Whether you choose a polo shirt to reward loyalty or market your brand, just make sure you find the right person to customize them.